We had the pleasure of working with Yours for Your Day during a gorgeous styled shoot where we got to be the models (eek! We're not used to being on the other side of the camera!). We absolutely fell in love with all of the gorgeous items Yours for Your Day provided for the shoot. Shelley and her husband were so fun and easygoing. We can't recommend them enough. Shortly after resigning from a corporate position in sales to spend more time with my family, I was bitten by the entrepreneurial bug! About that same time, several members of my family and I had developed a passion for collecting old ugly furniture and transforming it into something lovable again. 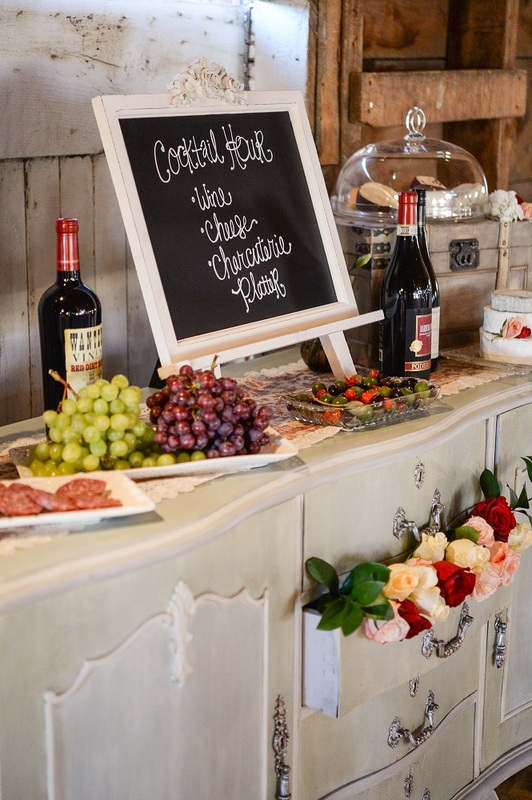 That passion quickly morphed into a desire to share our love of anything vintage, salvaged, and rustic with others who wanted to add all of those same details to their life celebrations. Whether it's getting to know a brand new client and their personal story or meeting other event industry professionals who share the love of bringing a client's vision to realty, there are so many wonderful people I meet almost daily and it is an amazing opportunity! Our greatest strength as a company is our ability to focus on the client experience and maintaining customer satisfaction as our top priority. I want to be sure that anyone who places their trust in our service, feels as though they are our only client! This commitment to service is evident in everything we do, whether it's returning all messages in a timely manner, following-up on details with the clients to fine-tune their orders, providing quality rental items, or arriving on-time for deliveries. It's all about the client from beginning to end! Our ideal client is anyone who is wanting a unique and "one-of-a-kind" event that reflects their own personal style and personality! The client who recognizes that it's all of those little details that make for a great guest experience. Anyone who can envision that an antique buffet makes a much better cake table than a standard folding table with linen! While event rentals are often one of the last services to be secured, it is always a pleasure to work with clients who recognize the value of beautiful pieces and their contribution to the overall theme of their event! I am personally inspired by the beauty I find in a piece of old furniture, a salvaged piece of architecture, or a rustic piece of wood. I see all of the possibilities these old treasures have and I want to make them available for other people to use and treasure as well. Anything that has a history is inspiring; and when that history can be transformed into something relevant and useful again, it's a wonderful thing! My favorite thing about Colorado is the overall quality of life for those of us lucky enough to call it home. There is so much to do and see and there is beauty everywhere! Working in this particular industry affords us the opportunity to get out and see even more of this amazing state, even while we're "working". There are so many beautiful event venues available to individuals and couples, and we get to visit and discover these amazing places on a regular basis! We constantly feel like we are on vacation in our own "backyard"!